The Samsung Galaxy S4 may have been announced at a zany and somewhat entertaining press event at Radio City Music Hall in NYC back in March, but at the time, minimal U.S. carrier availability was mentioned outside of a couple of pre-orders. Today, Samsung has made almost all of it official, without mentioning any specific dates. 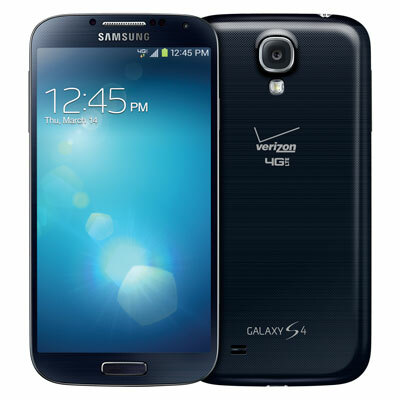 The Samsung Galaxy S4 will launch starting in April at seven different U.S. carriers including Verizon, AT&T, Sprint, T-Mobile, Cricket, US Cellular, and C Spire. It will also be available at a variety of retailers including Best Buy and Best Buy Mobile, Costco, RadioShack, Sam’s Club, Staples, Target, and Wal-Mart. Exact pricing and availability, as usual, will be announced individually by each carrier and retailer over the coming weeks. The device itself is no different than what we got our hands-on already, and will feature Samsung’s new suite of camera software, air view and gesture technology, powerful set of specs, and accessory lineup. Knowing the history of announcements like this, I wouldn’t be surprised if each carrier announced a launch date at various moments throughout the rest of the day. 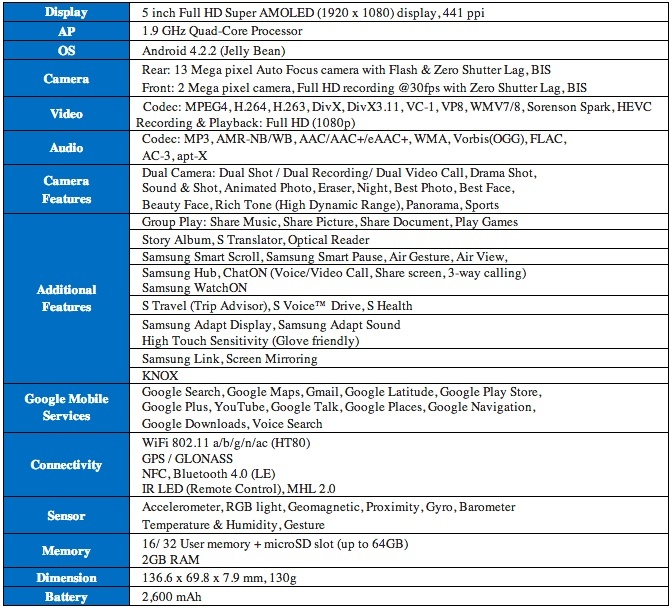 The full press release with details on each new Galaxy S4 software feature along with a complete spec list can be found below. For more information on the Galaxy S 4 and accessories, please visit www.samsung.com/us/galaxys4 or www.samsungmobileuspress.com. *KNOX incorporates Security Enhanced (SE) for Android developed by the NSA (National Security Agency), which is baked in at the kernel level of the device to greatly limit potential damage due to flawed, malicious apps and/or “rooting” malware. Samsung, Galaxy S, TouchWiz, Samsung Smart Switch, ChatOn, WatchOn, S Voice, Story Album, and Air View are all trademarks of Samsung Electronics Co., Ltd. Android and Google Play are trademarks of Google Inc. Other company names, product names and marks mentioned herein are the property of their respective owners and may be trademarks or registered trademarks.